Everyone loves a good success story. I know I am a sucker for stories about a person with a dream and who makes that dream a reality. 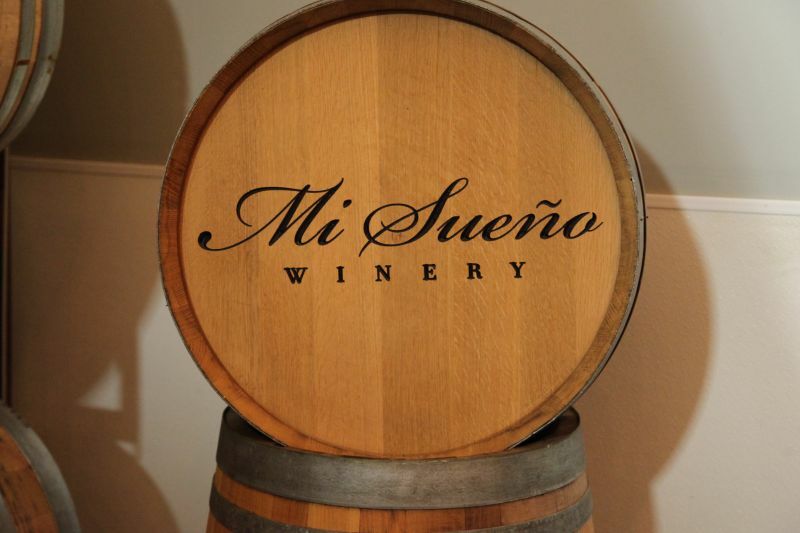 That is the story behind Mi Sueño Winery (My Dream). Of course, there was hard work, sacrifice, and paying dues involved along the way, but isn’t that what makes the story have depth and character? Ronaldo Herrera came to the United States from Mexico with his family when he was only 8 years old. While he attended high school, he started working as a busboy and a dishwasher at some of Napa’s most distinguished restaurants. Beautiful custom stained glass lighting in their tasting room. Call it what you like, fate, God’s hand, or just good luck, but Rolando Herrera got into the wine business in an unusual way. At just seventeen years old he was working as a day laborer building a stone wall on the property of Warren Winiarski (one of the founders of Stag’s Leap Wine Cellars). Warren was so impressed by Rolando’s manner and work ethic, he offered him a job working in his vineyards. He spent the next 10 years working his way up from the ground floor as grape crusher to cellar master gaining his education in viticulture along the way. 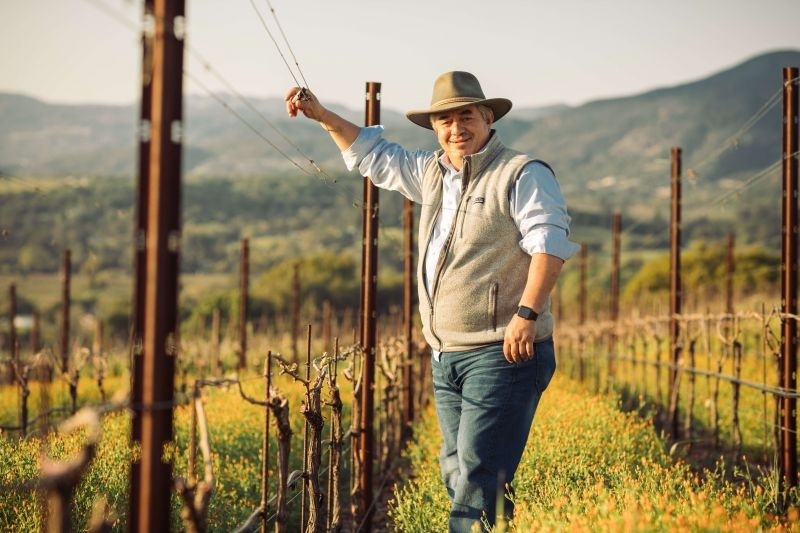 Rolando’s career grew at Stag’s Leap Cellars until he finally decided to take a new step and become an Assistant Winemaker for Chateau Potelle. From there his career climbed to new heights; becoming the Head Winemaker for Vine Cliff Winery and eventually the Director of Winemaking for Paul Hobbs. Rolando and his wife and partner Lorena surrounded by their dream wines. Despite all of the success behind him, Rolando had a dream of his own. A dream to make wines of his vision rather than in someone else’s style. 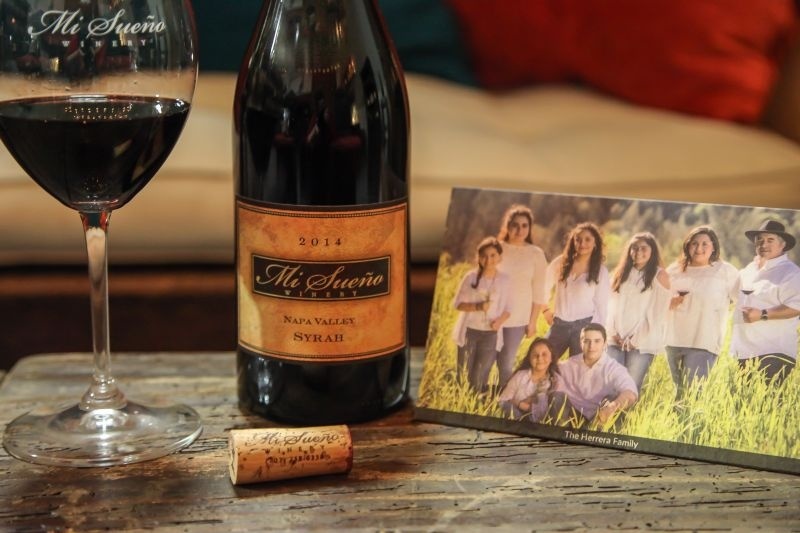 He and his wife Lorena started their dream winery together and Mi Sueño was born. 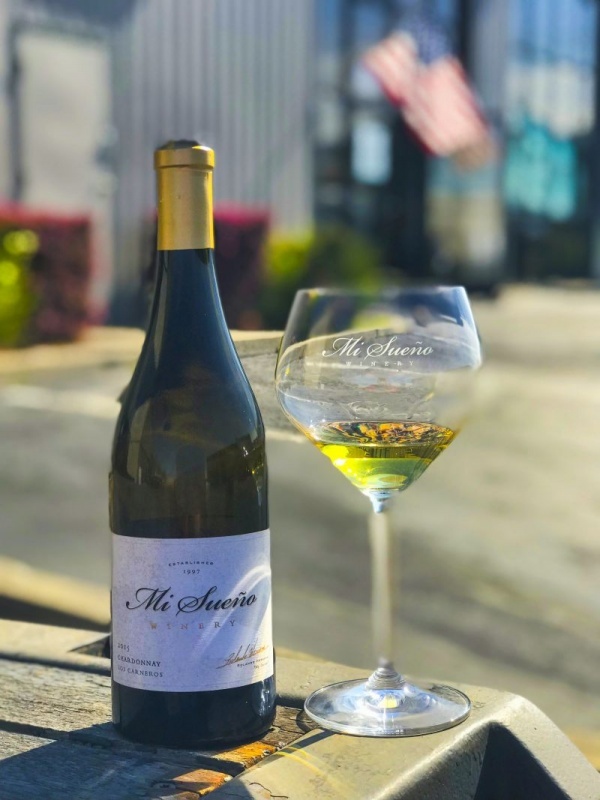 They started small, in an industrial space in Napa, working on their own brand along with providing custom crush services and wine consultation for clients. 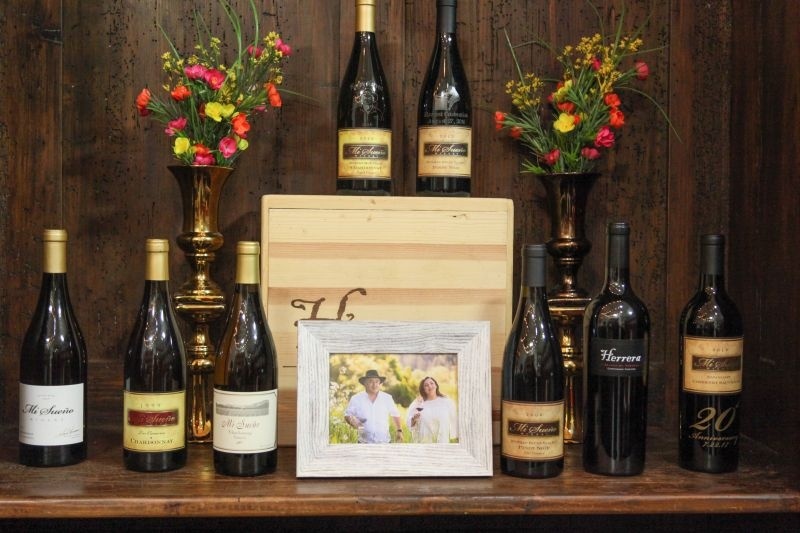 With hard work and faith, their wine brand has grown from just one wine (Chardonnay) to now offering fourteen different wines for sale on their website. They are also about to open a new tasting room at the Vista Colina Resort in Napa (formerly the Meritage). My thoughts: So, what did I think of their wines, the hospitality, and the experience? Let’s put it this way, I was as charmed by the flavors and quality of the wines as I was by the story behind them. This place is a hidden gem that deserves to be shouted from the rooftops and have its own cult following. The entire line up is fantastic! 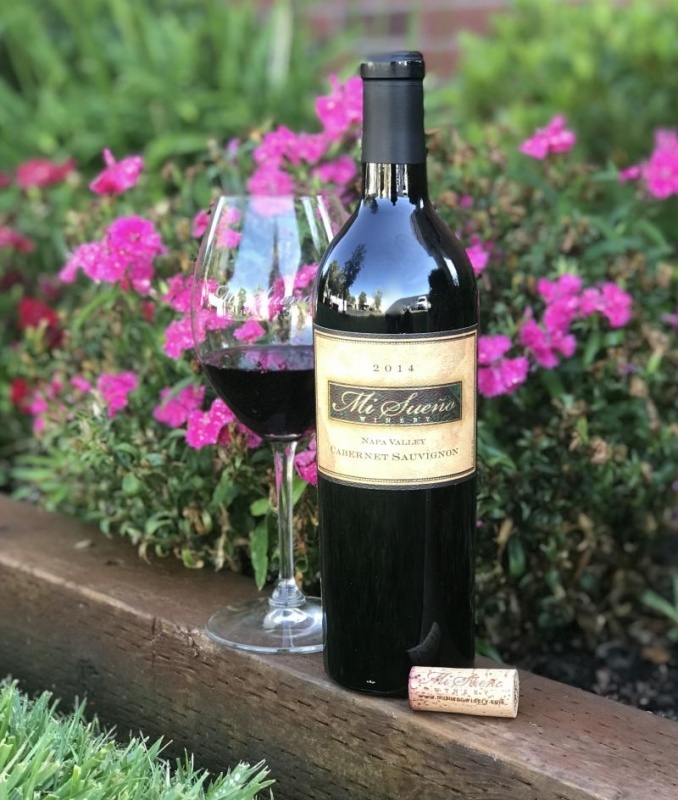 2014 Cabernet Sauvignon ($75) Bold, rich and velvety smooth with notes of Dark berries, chocolate and black pepper on the palate. A true crowd pleaser. I don’t think I have ever walked out of a tasting or wine event giving out hugs to the owners, winemakers, or staff at our first meeting (actually, I can’t remember doing it period). When I left Mi Sueño that evening, I was hugging everyone. I felt like a member of their extended family with a warmth and hospitality not often seen. There was something special about these people, their history, their wine, and their food that captured my heart. Favorite wines: It was really hard for me to pick a favorite out of their lineup. I am in love with their 2015 Carneros Chardonnay ($42). This is for me a “Goldilocks” Chardonnay. This is a perfectly balanced sip with a full mouth of both fruit and texture without being overly oaked, full of butter, fruit, or acid. It is simply a symphony of flavors in the glass that left me smiling. My favorite of their reds was their 2014 Napa Valley Syrah ($55). Syrah should be big, with dark fruits and layers of flavor. It hit my expectations and so much more. 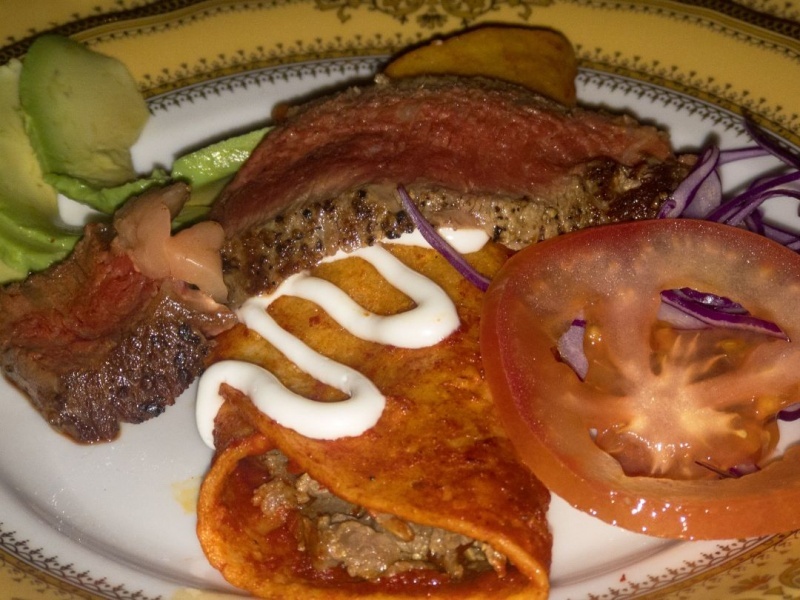 This wine pairs beautifully with, and stands up to the bold flavors of Mexican food. I was impressed with its layers of flavors filling my glass whilst still staying true to its grape. This could easily be my go-to Syrah. It is just that delicious. Sitting down at Mi Sueño for a wonderful meal which highlighted Herrera family recipes along with their wines. I am also a fan of the Russian River Pinot Noir ($55). I kept thinking I might have found my “Thanksgiving wine”. What a joy it was to drink and I kept imagining all of the things that I would pair with it. 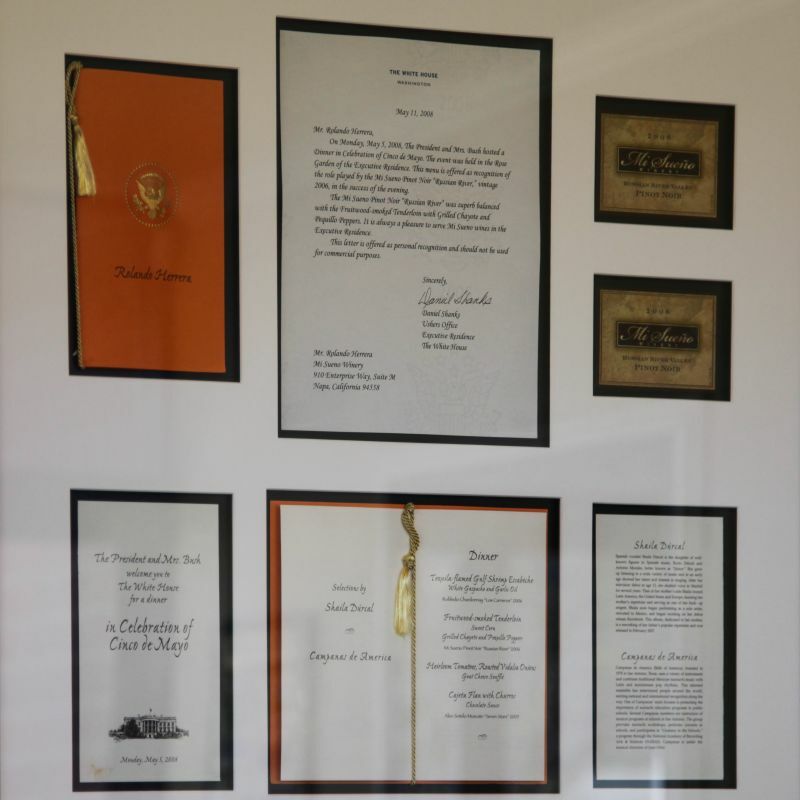 The photo is of the thank you letters to Mi Sueño from the George W. Bush White House in 2008. 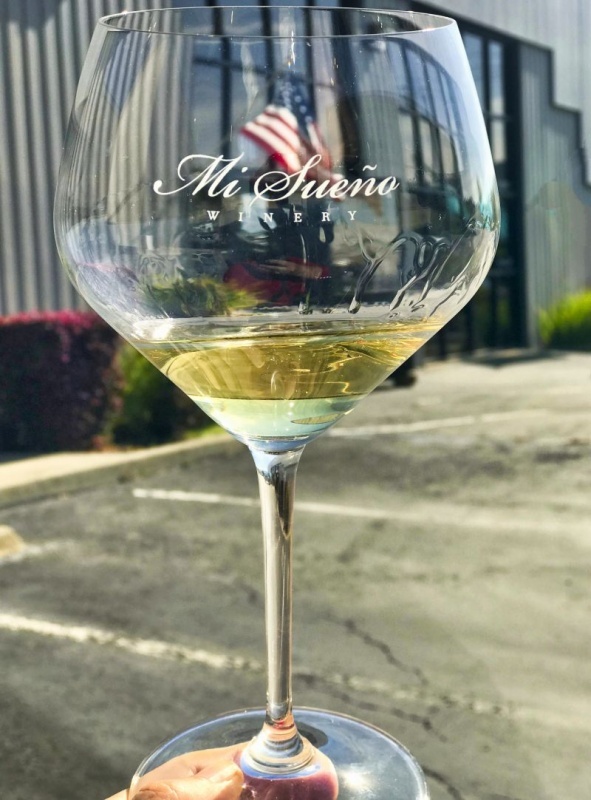 While touring their facility, Rolando proudly told our group that Mi Sueño was honored to have their wines served at the White House in 2008 by George W. Bush. 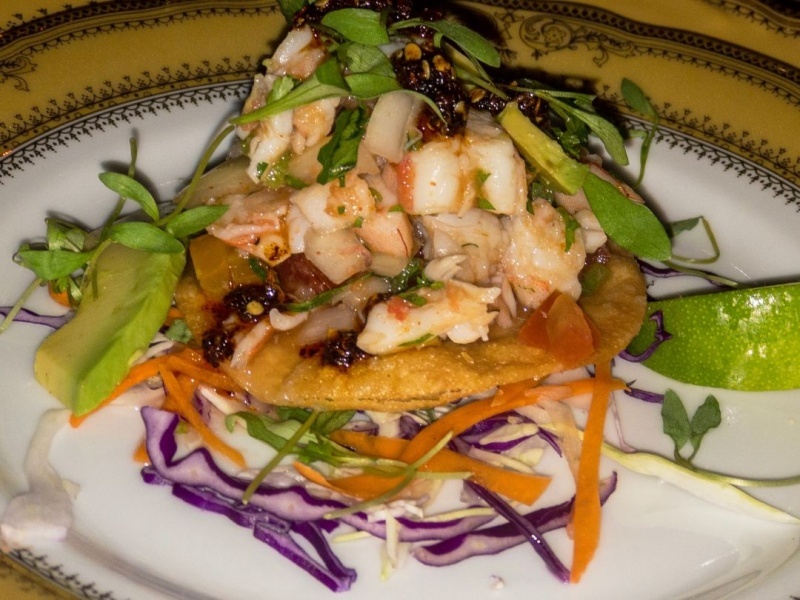 Mi Sueño shows that the American dream is still alive and it can come true – with hard work, dedication, and a bit of luck or divine intervention thrown in for good measure. 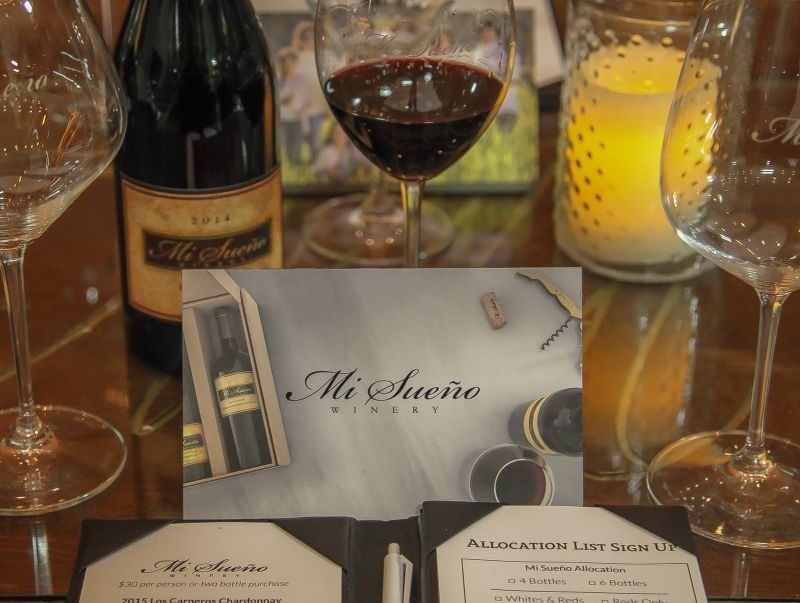 I highly recommend you put Mi Sueño at the top of your must-visit list and experience their wines for yourself. You will be happy you did. Isn’t it awesome? With things, the way they are right now, its so nice to hear something happy and good! What an inspiring story and some lovely sounding wines. Syrah and mexican food is not a pairing I would have thought of, but then again it wasn’t exactly TexMex was it? Thank you Jade. I went there with no prior knowledge or expectations and was completely blown away. I really appreciate you taking the time to comment! what a great “American” success story. 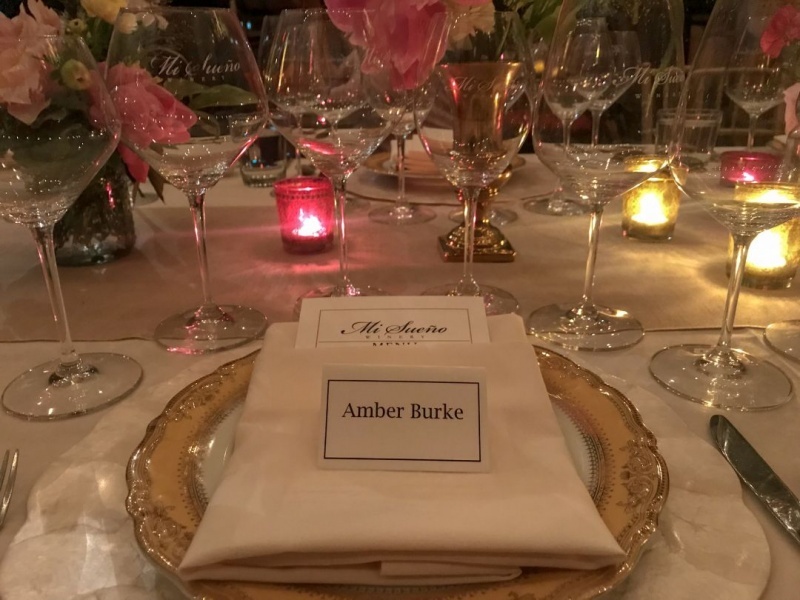 The wines sound wonderful and what an accomplishment to have their wines served in the White House. I agree… its really nice to be able to tell a story of someone who worked hard and made his dream come true.